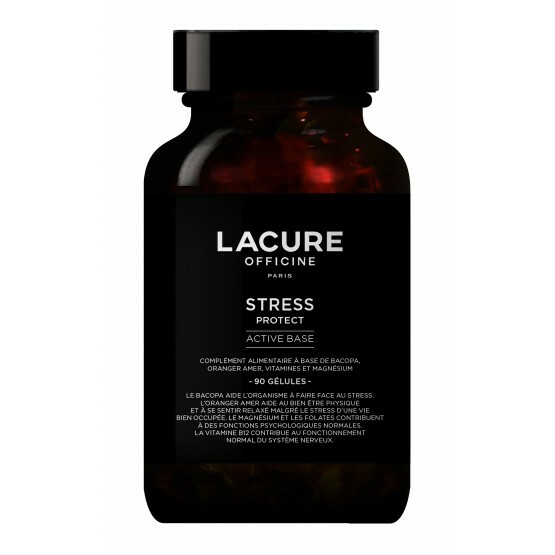 To help cope serenely with a busy life, LACURE Officine proposes STRESS PROTECT, a food supplement based on bacopa, bitter orange, vitamins and magnesium. • For 3,000 years, bacopa has been used in traditional Indian medicine to help the organism deal with stress. 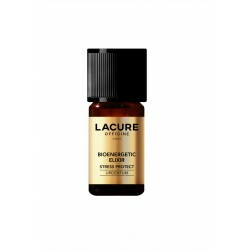 • Bitter orange aids physical well-being and helps you to feel relaxed despite the stress of modern life. 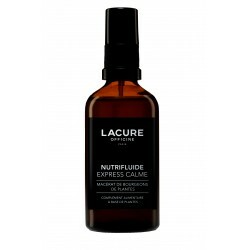 • Magnesium is a mineral trace element, often considered a natural "anti-stress". It helps reduce tiredness. • Vitamin B12 in the form of a red crystalline compound, known as "the red vitamin", helps to overcome difficult times by contributing to the normal functioning of the nervous system. Food supplements must be used as part of a healthy lifestyle and not be used as a substitute to a varied and balanced diet. Keep the product out of the reach of young children. Do not exceed the recommended daily allowance. Not recommended for children, pregnant or breast-feeding women or for people on blood-pressure lowering medication. Keep in a clean and dry place, away from light. Bitter orange leaf powder (Citrus aurantium L.), Magnesium oxide, Anti-caking agent: maltodextrin, Capsule coating: gelatine, bacopa leaf powder (Bacopa monnieri (L.) Wettst. ), Anti-caking agent: magnesium stearate, Vitamin B12 (cyanocobalamin), Vitamin B9 (folic acid).